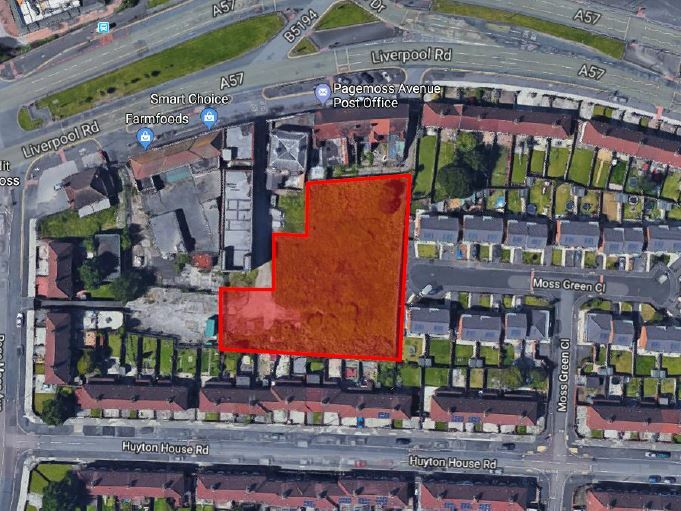 The development site, accessed via Dinas Lane, is a vacant brownfield site which is regular in shape and following an initial level rise from the boundary of Dinas Lane, the remainder of the site remains approximately level. The site is currently vacant land that was previously used for commercial purposes and is bound to the north by the Bethany Gospel Church and existing residential properties in all other directions. The subject property is situated on the south easterly side of Kinglake Street close to its junction with Shenstone Street and Nevison Street. The building is situated approximately 2 miles due North of Liverpool City Centre. The building comprises ground and 1 upper floor. The building is of modern 1960s construction with single glazed window units to the principal elevations and a flat roof construction. For Sale ~ 13,705 sq.ft. (1,270 sq.m)/Price £650,000. 10 Endbutt Lane is available either separately or at an additional price. Occupying a prominent position on Liverpool Road close to its junction with Endbutt Lane the A565, a principal route north of Liverpool City Centre. The premises have been used as a car showroom and an associated workshop since the 1960′s and are now available to let on flexible lease terms either as a whole or in part. The property comprises of a traditional detached ground and first floor premises of red brick construction with a pitched slate roof. The property has most recently been used for the sale of video and audio equipment at ground floor with storage accommodation and technician rooms at first floor. The purchaser will need to undertake modernisation and repair works prior to occupying. The site is located towards the rear of a parade of shops with potential access for residential development off Moss Green Close, a residential development completed approximately 10 years ago. The site is irregular in shape but level and ready for development. We understand that all main services are connected to the site. The site is identified as being in a Primarily Residential Area in the Local Plan. For Sale ~ 2,893 sqft (268.8 sqm) / £150,000 exclusive. The premises are located on the popular Victorian Shopping area of Lord Street with nearby occupiers including a mixture of national and independent retailers. The premises comprise well fitted ground floor retail premises with ancillary storage space and separately accessed from Hulme Street first and second floor accommodation which are ripe for residential conversion subject to appropriate consents. The site is a surfaced fenced car-park, providing parking for approximately 22 cars. The site is adjacent to two commercial properties, a five-storey student development and an eight-storey block of private apartments. 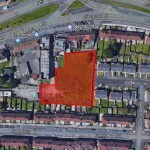 The subject property is located on the south side of Marlborough Street, close to its junction with the A5038 Vauxhall Road which leads to the A5053 Leeds Street.